As a Hybrid owner for several years, I have always been interested in electric cars, but did not know much about them since all of the electric cars that were leased by GM years ago were re-claimed. This brand new film answered almost every question I had, or could even think of about the exciting new electric car offerings now coming out. While there are certain drawbacks to electric cars (I would not want to drive one across the country), the film convinced me that this is a great car for the future. Many of the myths (about battery life, range, electric car pricing, etc.) were brought up by a father & daughter in an interesting conversation. 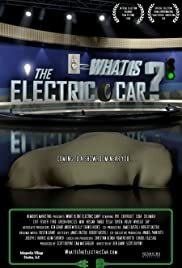 This film also takes the audience back 100 years or so ago with a brief history of the very first electric cars followed by segments of questions and decade long misconceptions being answered in a very entertaining, yet extremely fact oriented manner. Although I had seen the 2006 documentary "Who Killed the Electric Car?" that showed the crushing of hundreds of GM's EV1s, this new film shows great promise for the new GM VOLT, Nissan Leaf, Ford Focus Electric, and many other new electric offerings which will clearly be part of our future. I would recommend this film to anyone looking for a new car in the future.